Efe Baltacigil | The Chamber Music Society of Lincoln Center. Cellist Efe Baltacigil recently made his debut with the Berliner Philharmoniker and Sir Simon Rattle alongside his brother Fora. He also performed Tchaikovsky's Rococo Variations with the Seattle Symphony, after which the Seattle Times described his "sublimely natural, so easily virtuosic, phenomenal, effortless musicianship." Recent performances include Brahms's Double Concerto with violinist David Coucheron and the Norwegian Radio Orchestra, and Richard Strauss's Don Quixote with the Seattle Symphony. He was a 2006 Avery Fisher Career Grant recipient, named 2013 String Player of the Year in Turkey, and, as a member of the European Concert Hall Association's Rising Stars program, he performed at Carnegie Hall and toured Europe in the 2006-08 seasons. Winner of the 2005 Young Concert Artists International Auditions, he made his recital debut under its aegis at Zankel Hall. He has appeared with Pinchas Zukerman and Yo-Yo Ma at Carnegie Hall, participated in Ma's Silk Road Project, and will perform at the Marlboro Festival. 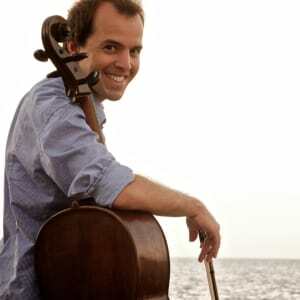 A member of the East Coast Chamber Orchestra, he was the associate principal cellist of the Philadelphia Orchestra until 2011 and is currently the principal cellist of the Seattle Symphony. He received his bachelor's degree from the Mimar Sinan University Conservatory in Istanbul, and earned his artist diploma from the Curtis Institute of Music. An alum of The Bowers Program (formerly CMS Two), Mr. Baltacigil plays a Francesco Rugieri cello made in Cremona in 1680 and given to him by a Turkish sponsor.